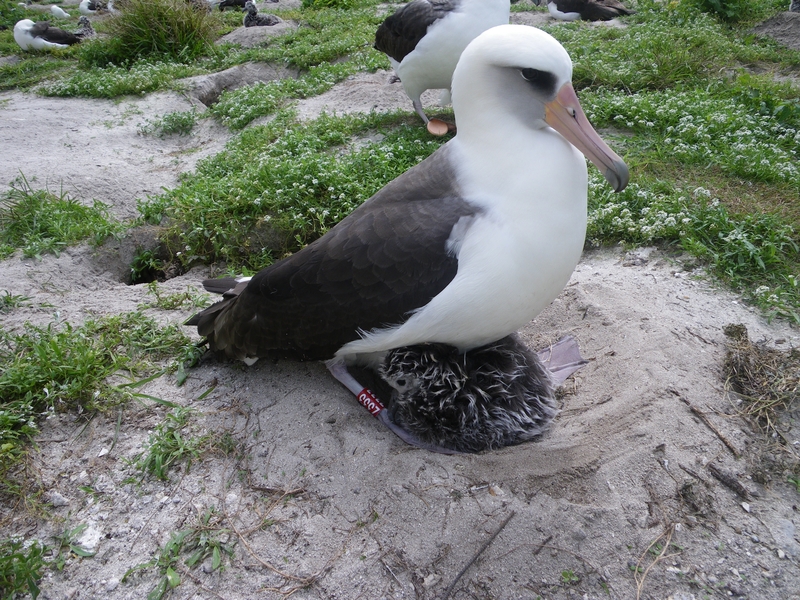 The Laysan Albatross, one of the smaller albatrosses, is also one of only two breeding in Hawaii and the Midway Atoll. The individual in the picture (taken by John Klavitter/U. S. Fish and Wildlife Service) is Wisdom, who was originally banded as a breeding bird in 1956 when she was at least 5 years old, and quite possibly even older. In 2016, she was raising yet another chick at age 65 or older! She is the oldest known wild bird. Wisdom was originally banded by Chandler Robbins, who died in 2017 at the age of 99.